This display comprises a timed talk on the arming of the knight, a demonstration on medieval weapons and in between, assisting members of the public to try on the vast range of armour. Some of it specially made for little people. Talks & demos can be run 4 times a day. Sir Thomas is a 15th C knight preparing for battle. 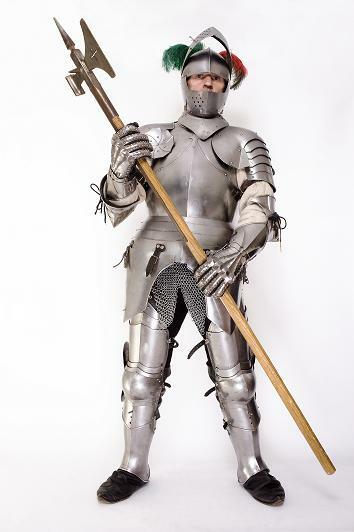 Sir Thomas’s Squire dresses the knight for combat in his armour, whilst Sir Thomas reveals how and why it was worn. If willing, a parent may also have a go at arming their son/daughter in the child sized armour, whilst following Sir Thomas’s instructions. Often the closest most people will get to armour is behind a glass case in a museum. Even at a re-enactment event they may not be able to try the armour on. It’s most peoples dream as a kid to try on real armour and hold a sword and with this display their dreams can come true but in a safe & controlled environment. Imagine giving them the opportunity to actually wear armour or hold a sword! We have early armour such as maille from 1066 right up to brigandines and the full plate armour of the 15thC, in a variety of sizes. 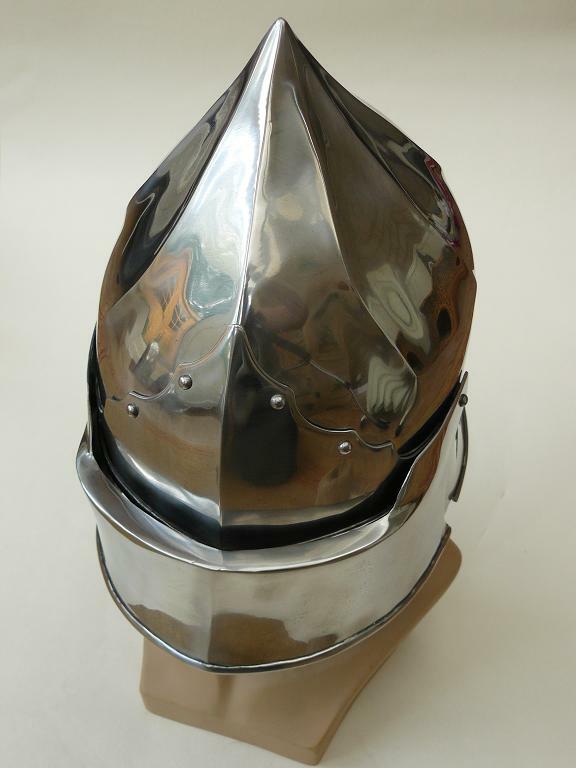 All our armour is made to a safe standard with rolled edges and the swords are blunt edged re-enactment swords.